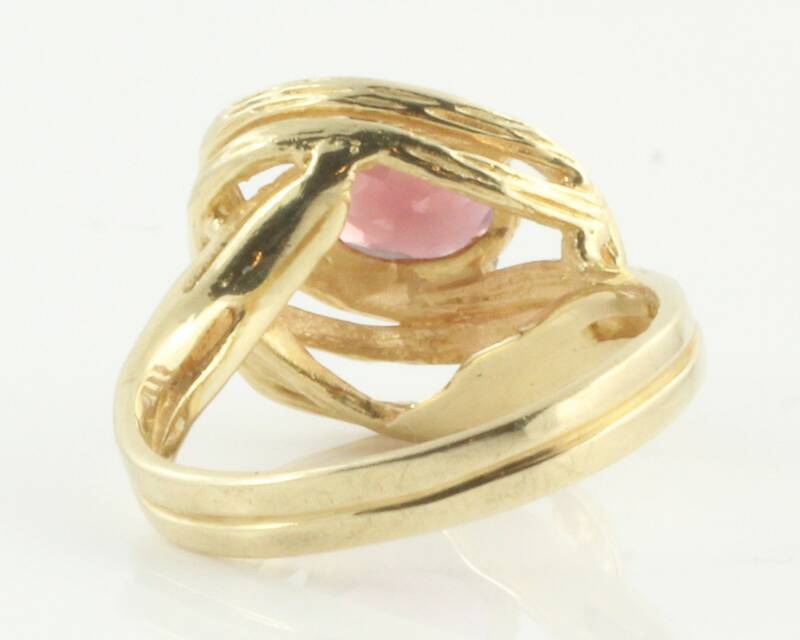 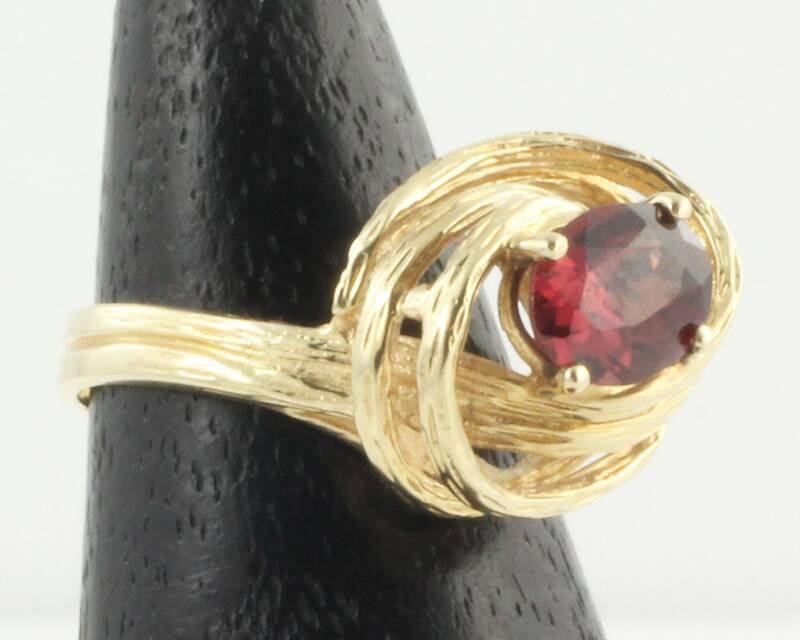 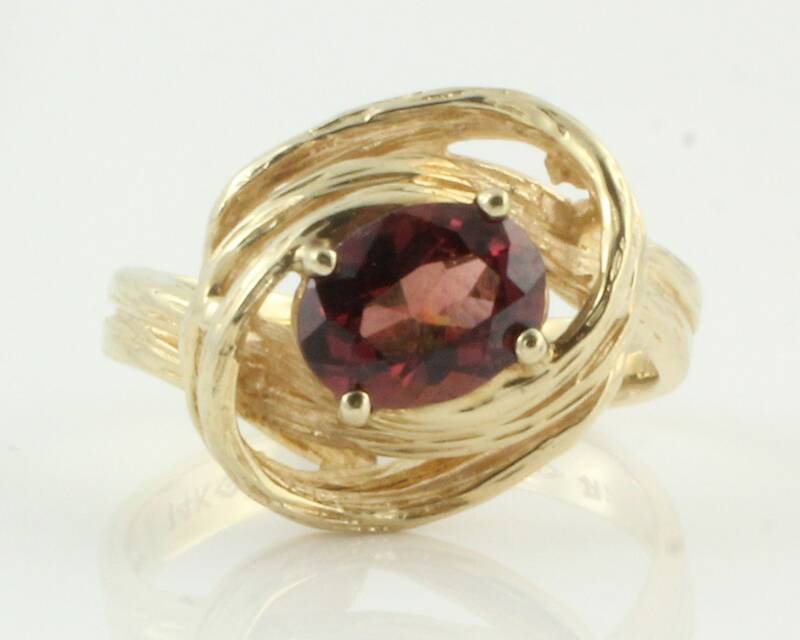 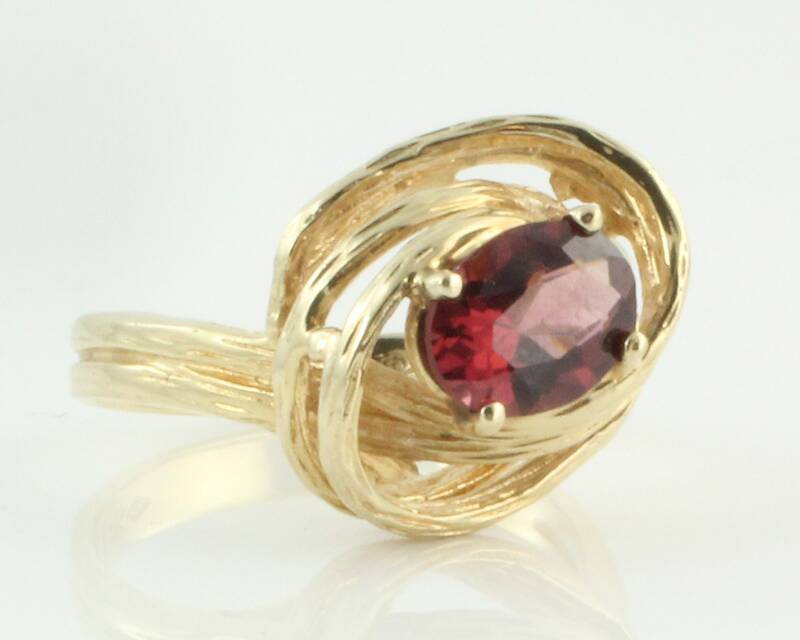 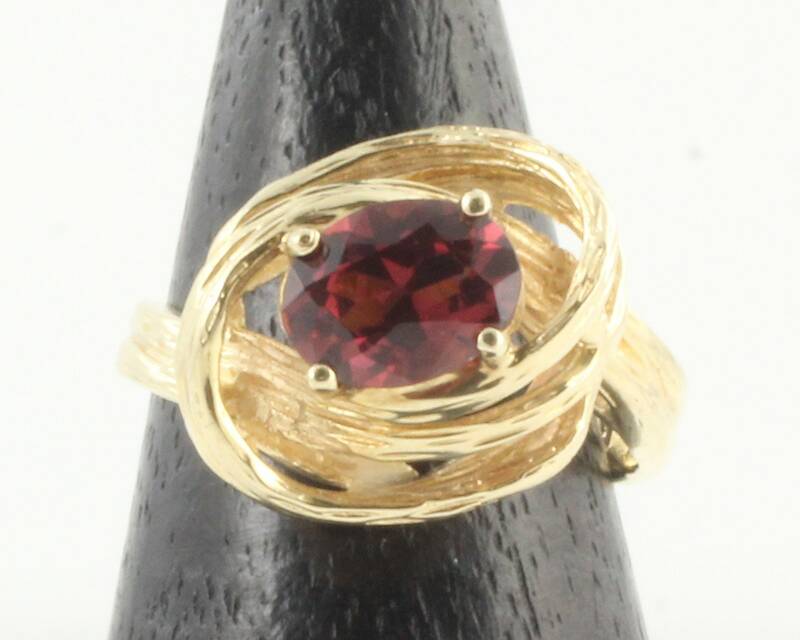 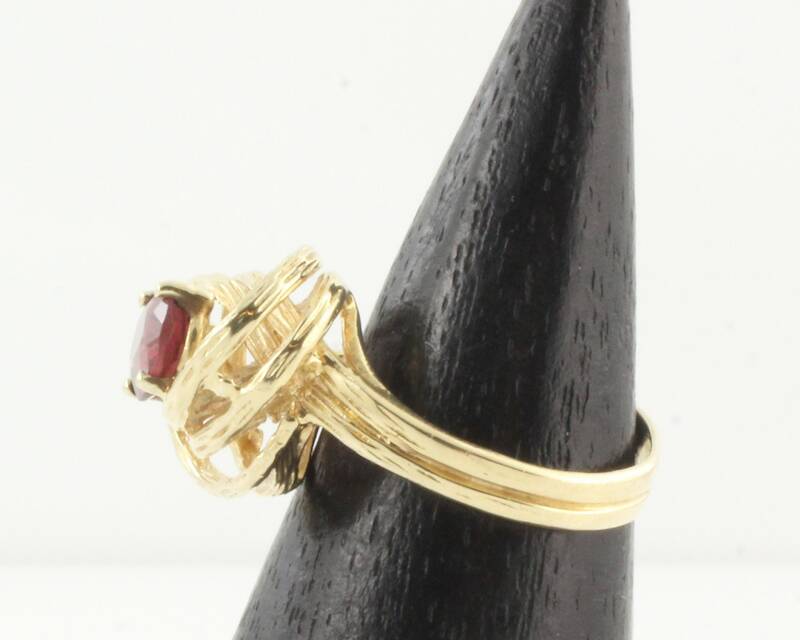 14K Yellow Gold Rhodolite Garnet Retro Swirl Ring. 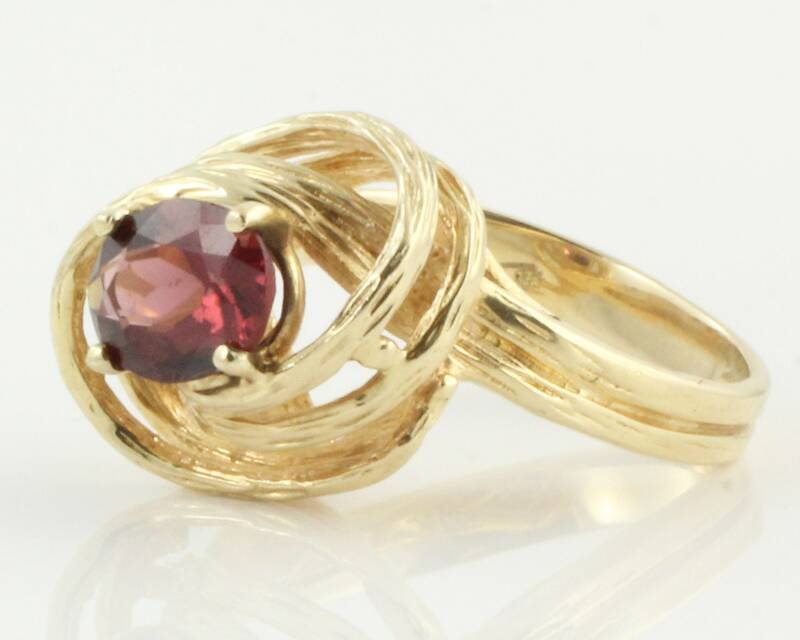 Made in the late seventies, this unusual solitaire ring features one oval faceted rhodolite garnet set in a mod, infinity swirl mounting with organic texturing. 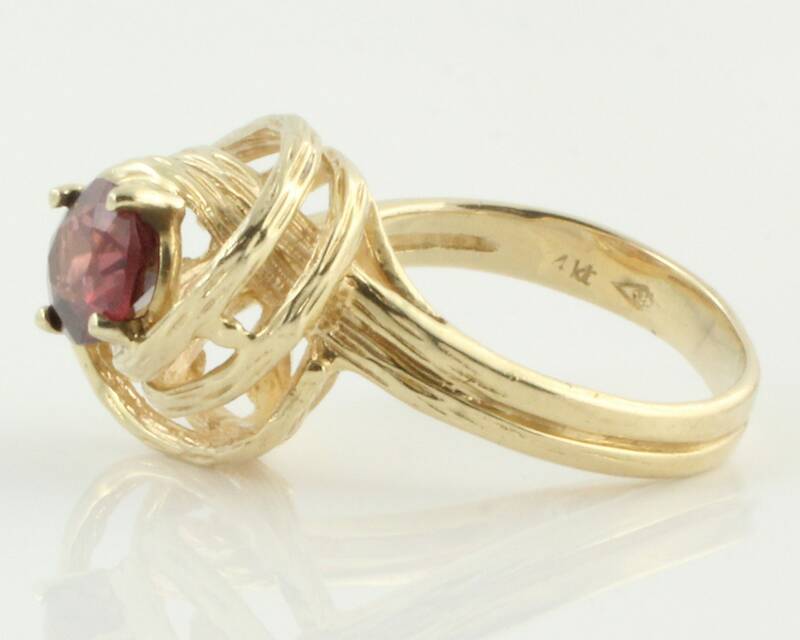 The garnet has beautiful purple tones and is approximately 1.75 carats in weight. 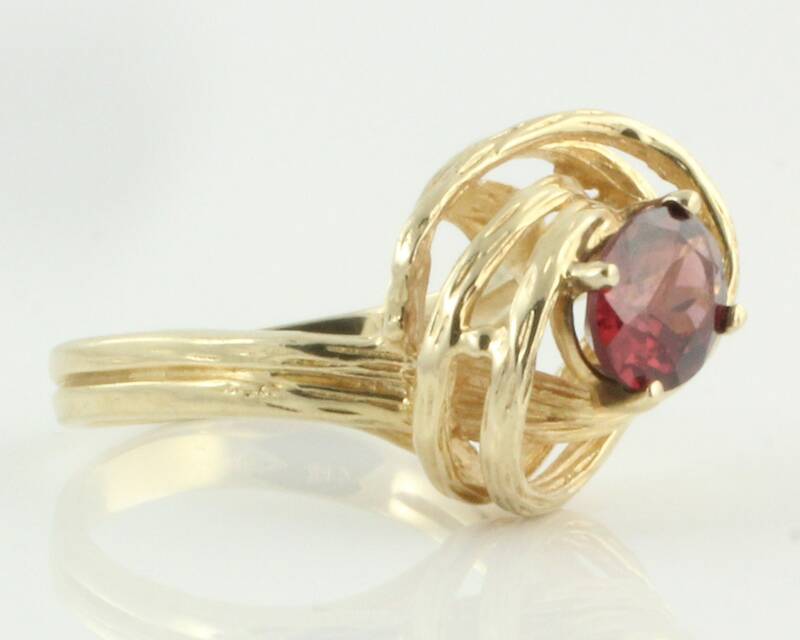 This is an unusual ring that will definitely be noticed!